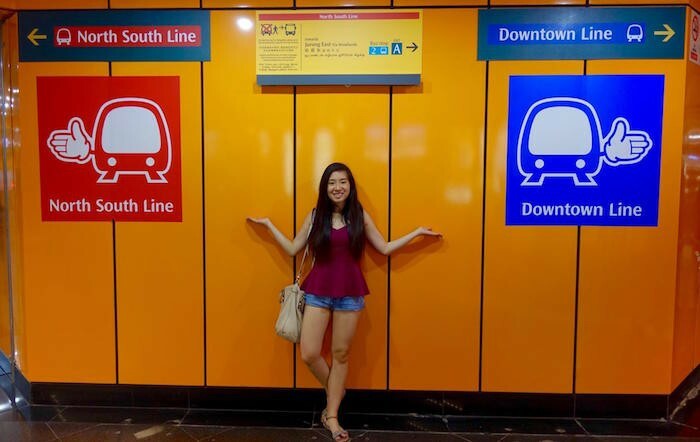 So many things to do in Singapore. Where do we even start? But first and foremost… where do we even stay? With new hotels popping out almost every weekend – why, we’ve all been spoilt for choice! But why overlook the classic hotels that have been wowing us for years with excellent service and location? We checked out Sheraton Towers Singapore, an icon of the busy Newton district, and we must say, we’re definitely impressed! Plus point: the hotel is situated really close to the 10 experiences that every traveller to Singapore die die must have . But wait, how close? Really close, lah ! Sheraton Towers Singapore is located right smack in the heart of Singapore, and is located just 10 minutes away from Orchard Road. Not 10 minutes by bus, or by car, but by foot ! Shop till you drop at the shopping strip’s many malls, and indulge in a must-have ice-cream sandwich from one of the push-carts along the streets. If shopping ain’t your thing, spend a delightful afternoon channelling your creative juices onto a canvas – art jamming is all the craze recently, and Arteastiq @ Mandarin Gallery is the place to have such a session. For a panoramic view from up above, venture to ION SKY, located 55 levels above Orchard Road and offers a sweeping 360 view of the area. 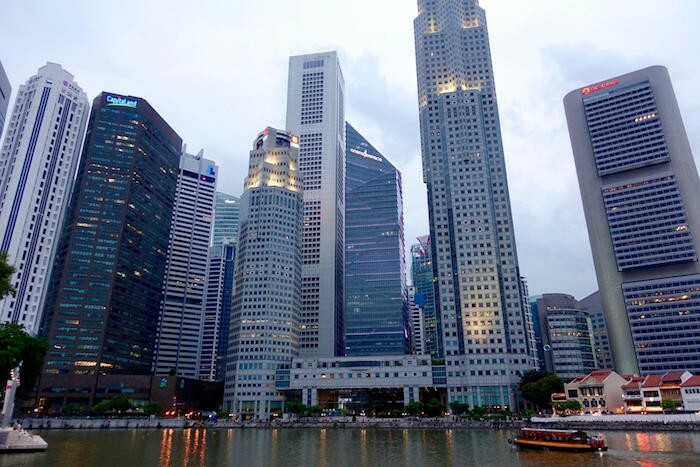 The Central Business District (CBD) is the place where the future of Singapore is condensed within a few blocks and streets. Venture here and witness the emerging of busy bees smartly clad in black and white from towering skyscrapers. Here the pace is fast, and people walk with a goal in mind. Yet right smack in the middle of the district lies Lau Pa Sat , an architectural gem that stands in stark contrast to its surroundings. 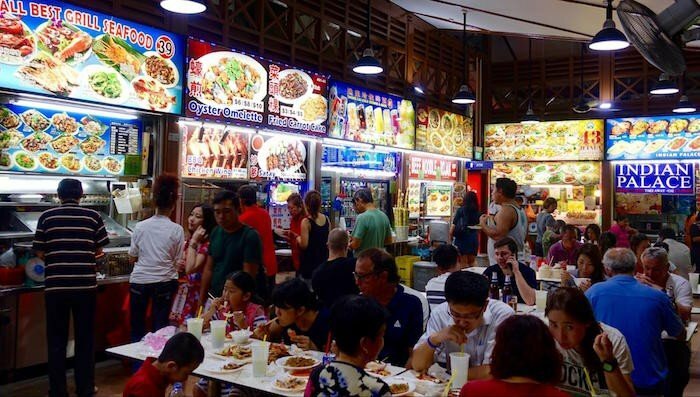 The renowned hawker centre serves up heartwarming local fare, with the satay deserving a mention! Every Sunday till end of July, Car-free Sundays transforms parts of the CBD into pedestrian-only zones, and will offer activities like a mass yoga session, street performances/concerts as well as the setting up of various night stalls. Chinatown is a celebration of old and new, and is a smorgasbord of sights, smells and colour. That colour! The shophouses are decked out in a dazzling myriad of colours, and line a maze of streets and alleys. Watch the streets come alive when dusk falls, with the lanterns casting a warm red glow. This is what it feels like to travel back to yesteryear, where shopkeepers peddle their wares next to family-run medicinal halls, teahouses and goldsmiths. One must-do would be to have some barbequed meat (colloquially, and fondly, known as bak kwa ) from Bee Cheng Hiang or Lim Chee Guan , or go cafe-hopping at Duxton Road, home to many bespoke and artisan cafes offering up exquisite brunch fare. Who says the art scene is non-existent in Singapore? 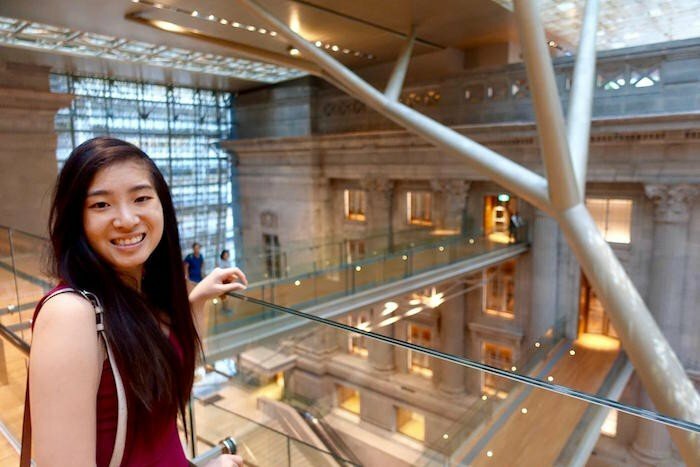 Here to prove you wrong is the National Gallery of Singapore, a piece of architecture that wows visitors even with its beautiful facade. Admission is free for all locals, and the gallery hosts various exhibitions that change over time. Spend an hour or two, or even an entire afternoon, wandering around the exhibits or the big airy spaces. Take it from us – it’s absolutely lovely to get lost in that giant maze of hallowed halls. Join one of the guided tours to learn more about the history of the exhibitions, or even about the history of the building itself. These hour-long tours are conducted in either English or Chinese, and 20 slots are offered per session based on a first-come-first-serve basis. Register for these tours 20 minutes before the start of each one at the Tour desk located at B1 concourse. Plus point: These tours are FREE, but admission fees to the exhibitions may apply. 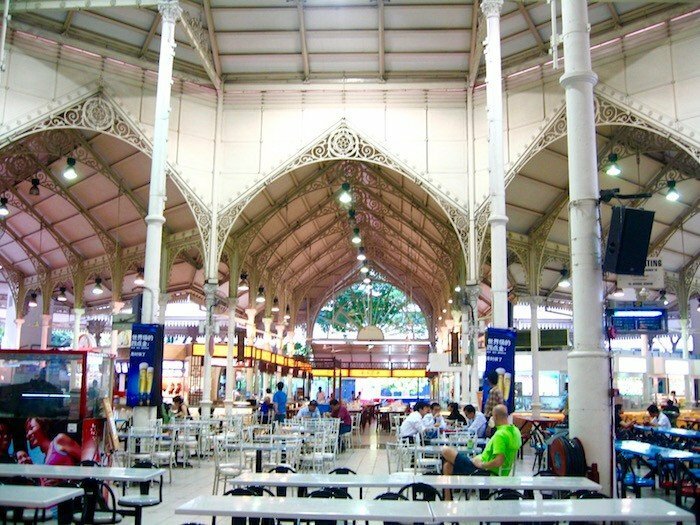 Newton Food Centre is one of Singapore’s most famous hawker centres, and rightly so! Here you find some of Singapore’s most loved delicacies, such as oyster omelette, BBQ chicken wings, sambal stingray, and so much more! Visit this food centre on an empty stomach, and we guarantee you won’t be disappointed. Wolf down all of the above foods with a giant mug of sugarcane juice and simply soak in the atmosphere. This is how you eat in Singapore, bon appetit! 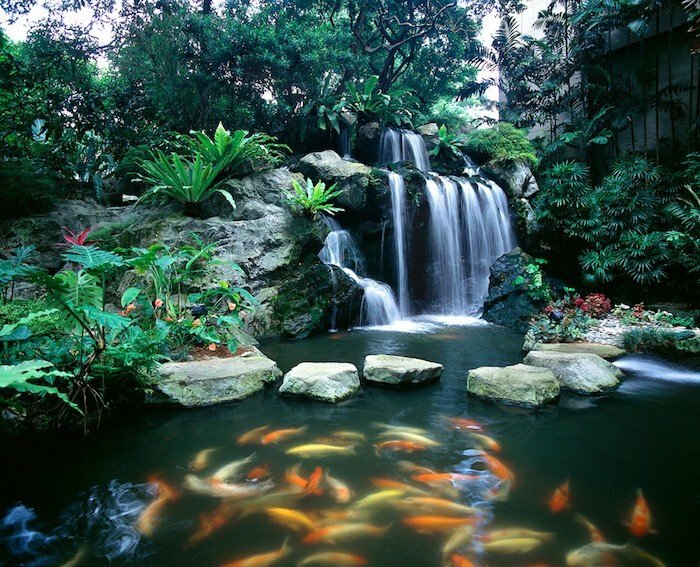 Singapore is known as the garden city, and rightly so! 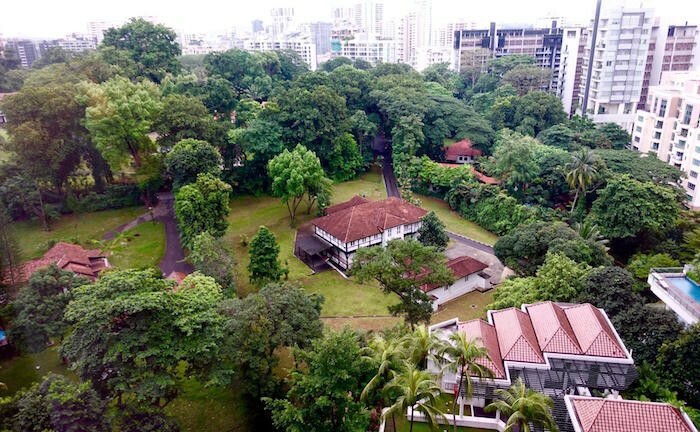 Explore this 101-hectares of garden right smack in the middle of the city. It’s filled with flowers that change with the season – sakura trees to match Japan’s cherry blossom season, and tulips to match the blooms in Amsterdam. 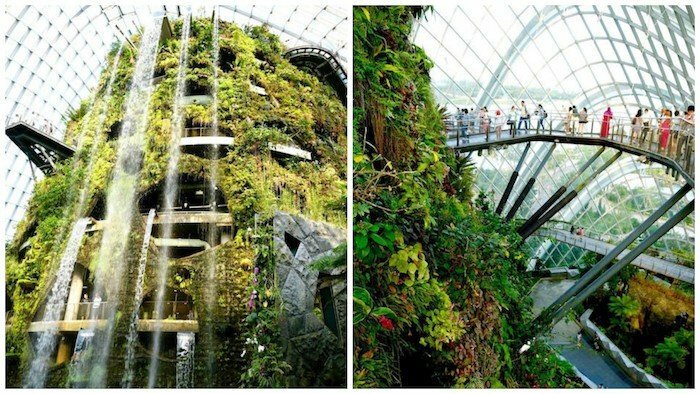 Take a stroll around the Cloud Forest, home to the world’s tallest indoor waterfall. Feast your eyes on an aerial view from a glass walkway that extends around the entire area! 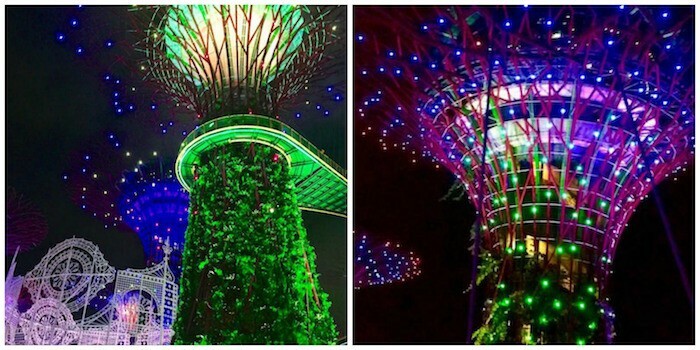 At night, the ‘Supertrees’ come alive with a barrage of light and sound, and transport visitors to another world altogether. Feel as if you’re immersed in the world of ‘Avatar’, and be dazzled by the dazzling light show. 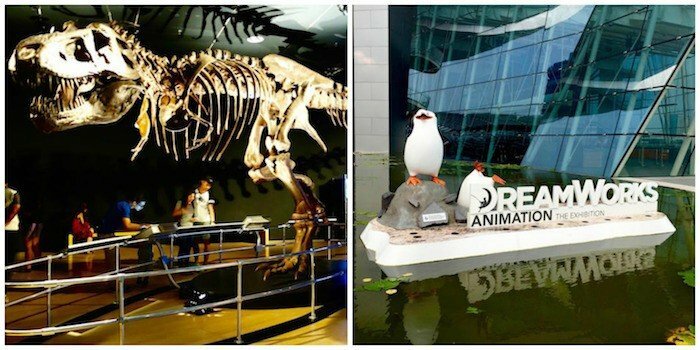 The nearby Artscience Museum offers exhibitions for adults and kids alike, showcasing exhibitions with the likes of Dreamworks, Titanic, prehistoric Dinosaurs, Harry Potter, Andy Warhol and so on. Did you know that the Artscience Museum is modelled after the shape of an outstretched palm? Pair your visit to the Artscience Museum with a stroll along the Helix Bridge and a shopping spree at the Marina Bay Sands Shoppes. 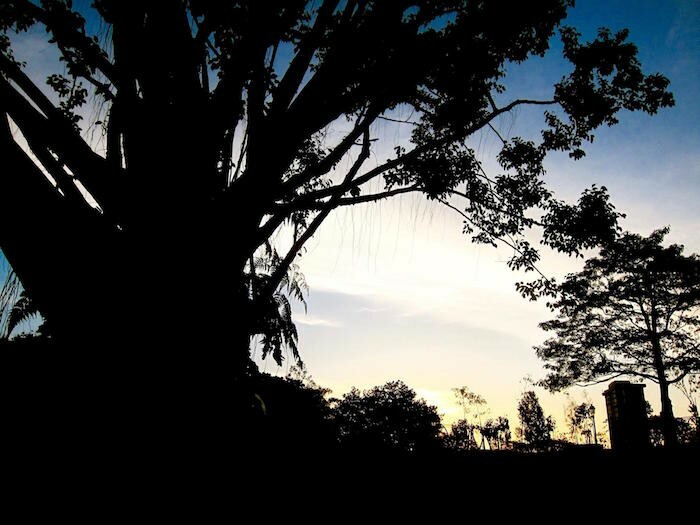 The Botanic Gardens is an idyllic garden paradise full of picnic spots, serene lakes and lush greenery. Mats of every colour dot every open space, and frisbees whiz over your head every couple of minutes. Spot owners taking their adorable dogs for daily evening strolls, or feed the tortoises in the lake. Plus point: It’s also a UNESCO World Heritage site! Sheraton Towers Singapore has no lack of food offerings, each tasting better than the last. Why, it’s possible to have all your 3 meals in the hotel itself! Dine alongside the signature cascading waterfall, and have a tranquil breakfast at the crack of dawn. 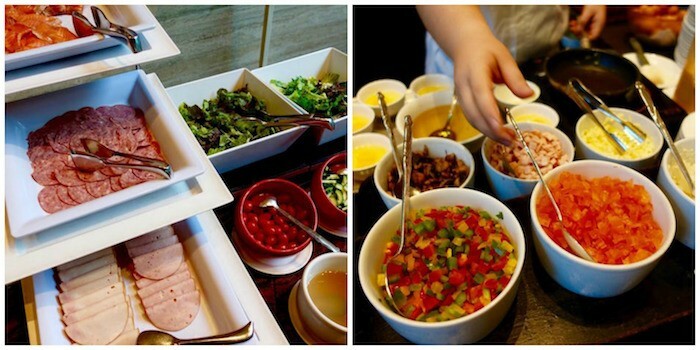 The extravagant Inter-Continental buffet offers a wide spread of bread, cereal, and breakfast foods such as sausages, ham and the works. The best part about the buffet? The egg station! It was great having our eggs done just the way we liked it. Kudos to the egg chef for being so courteous and obliging! 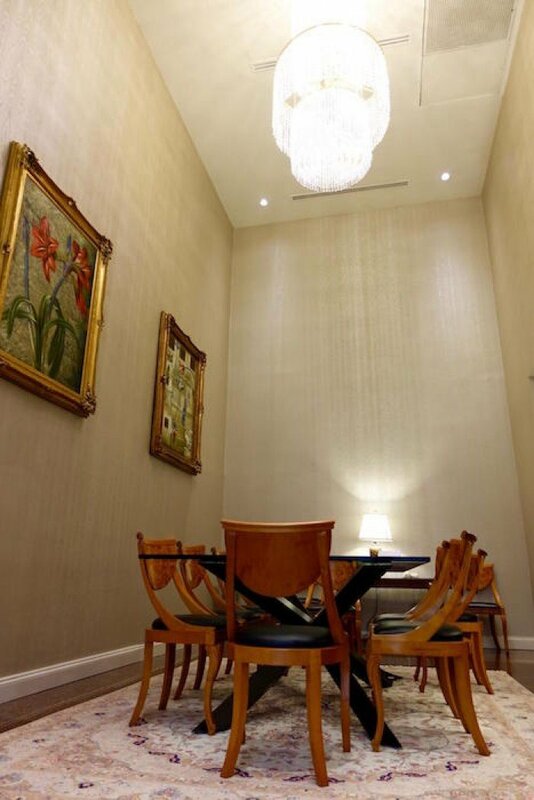 Li Bai is a timeless restaurant well-known for its exquisite Cantonese cuisine. The establishment is especially crowded on Sundays, and is full of avid dimsum-lovers like ourselves. 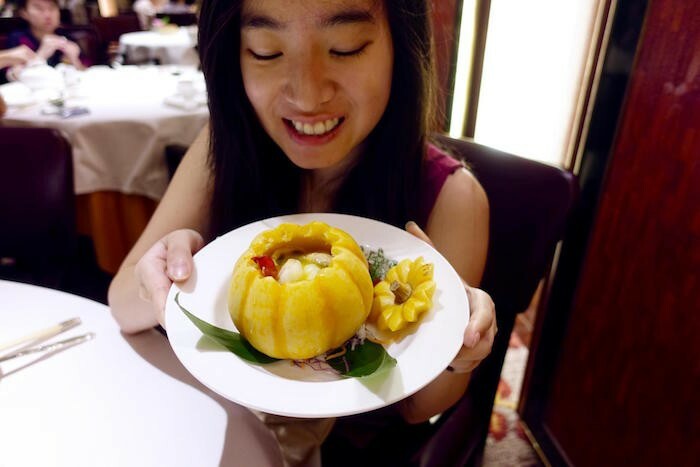 We especially loved the seafood soup served in a mini pumpkin, which both looked AND tasted great! The seafood noodles deserve a special mention too. The dish looks nothing out of the ordinary, but the minute we put those tender noodles into our mouth? Pure heaven. DOMVS serves up heartwarming Italian food in a classy setting. The food is prepared with ingredients imported directly from Italy, and we feasted on the likes of beef carpaccio, cannelloni, and succulent lamb chops. 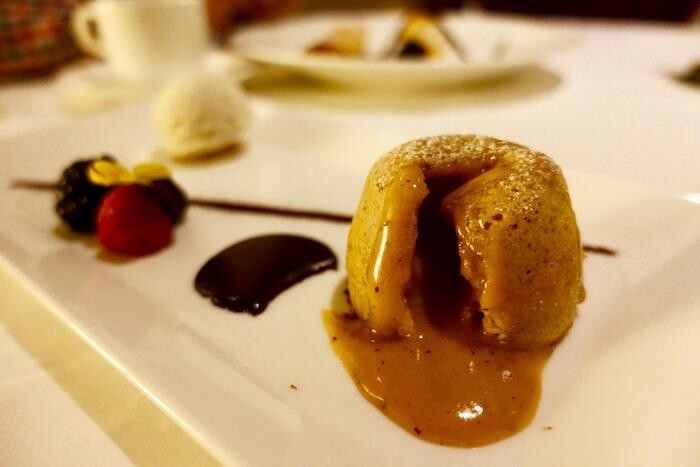 What stood out, however was their special Peanut Butter lava cake. Just look at that peanut butter oozing out of its shell! Having a train station right on your doorstep? It doesn’t get any more convenient than that! 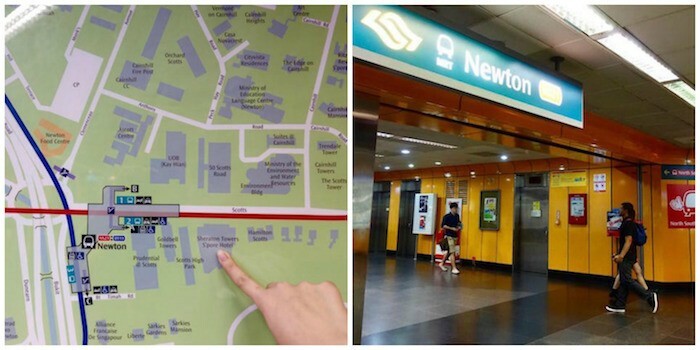 The Newton train station is located just 2 minutes walk away from Sheraton Towers Singapore, and offers connections to both the Downtown and North-South subway lines. 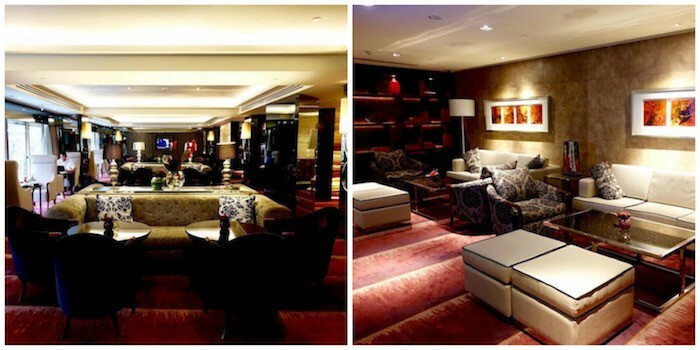 You heard it from us first – the Towers Executive Lounge at Sheraton Towers Singapore is worth every single penny. 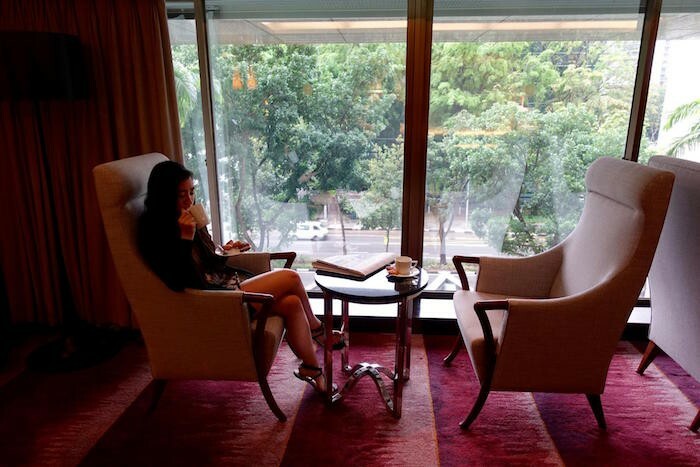 Here at the Towers Executive Lounge, guests are given a secluded bubble of privacy far from the noise of the other common areas. Every evening, there is a varied spread of evening cocktails and hors d’oeuvres from 5.30-7.30pm daily. 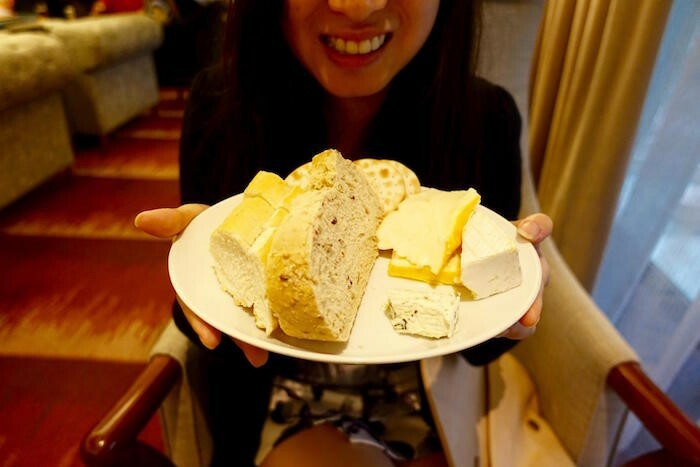 Take your pick from delectable desserts, appetisers, cheeses, as well as free-flow wine and alcoholic beverages. Yep you read that right, free-flow! Should you wish to have a quiet breakfast, the Towers Executive Lounge offers a Continental breakfast as well. Business Travellers can sign up for the Sheraton Club Program, which offers exclusive access to the Towers Executive Lounge, butler service, express check-in/out, daily buffet breakfast at the Dining Room/continental breakfast at the lounge, evening cocktails and hors d’oeuvres at the Lounge, complimentary in-room internet access/local telephone calls, choice of daily international newspaper from hotel selection list, complimentary self-parking during stay, as well as complimentary use of the Health and Wellness Chinois on level 5, inclusive of a fitness centre, outdoor pool and a sauna. Additional charges apply for additional guests to the Towers Executive Lounge! We had the privilege to stay in the Washington Presidential suite, which was luxurious beyond compare. It comes with its own living room and a dining room with a 8-seater table. Also, check out the chandelier! Needless to say, we felt pretty royal the entire weekend. The view was also tremendously soothing on the eyes. How refreshing it was to not have to stare at concrete towers all day long! Thank you Sheraton Towers Singapore for hosting us! It was a lovely weekend. So next time you’re looking for a hotel to stay at, why not check out Sheraton Towers Singapore? It’s classic, it’s great, and its location just can’t be beat; check out their special deals here . Sheraton Towers, you’ve won our hearts! Make sure you check off all 10 experiences while you're at it – Steady bom pi pi!